Select Small Medium Large X-Large - Only 2 available! 2XL - Out of stock - notify us! Another awesome Dave Lepard design. 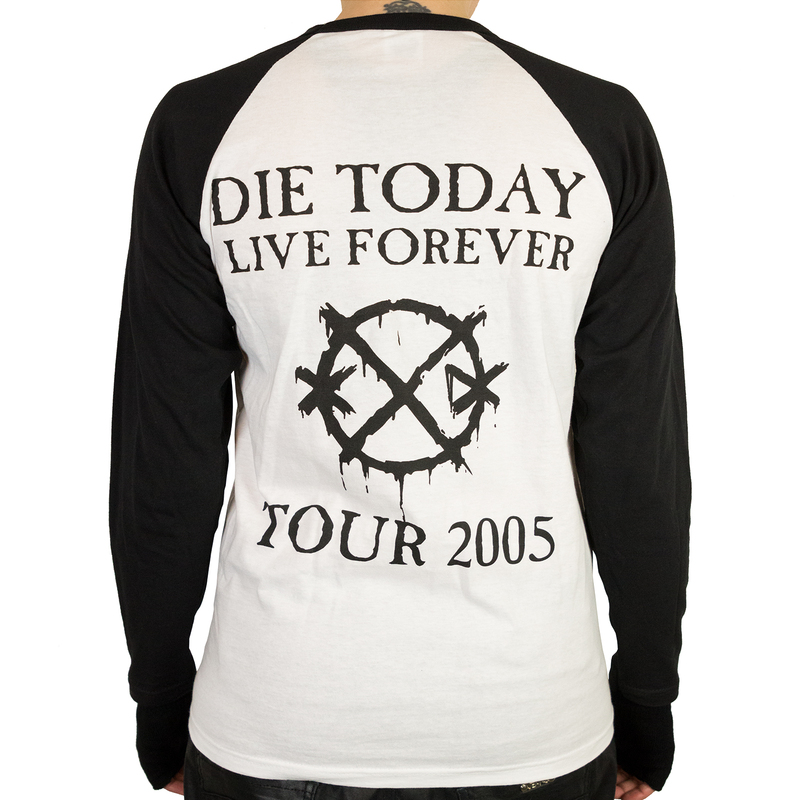 Originally released around 2004-2005, sold out quite quickly and were long gone for a few years... until we finally managed to recover the original art work and with a slight change of colour, it's now available again. This top was bought for me for my birthday and it's definately the best top i own! Love it, It's nice to wear in bed too as it's warm :) Love the photo! 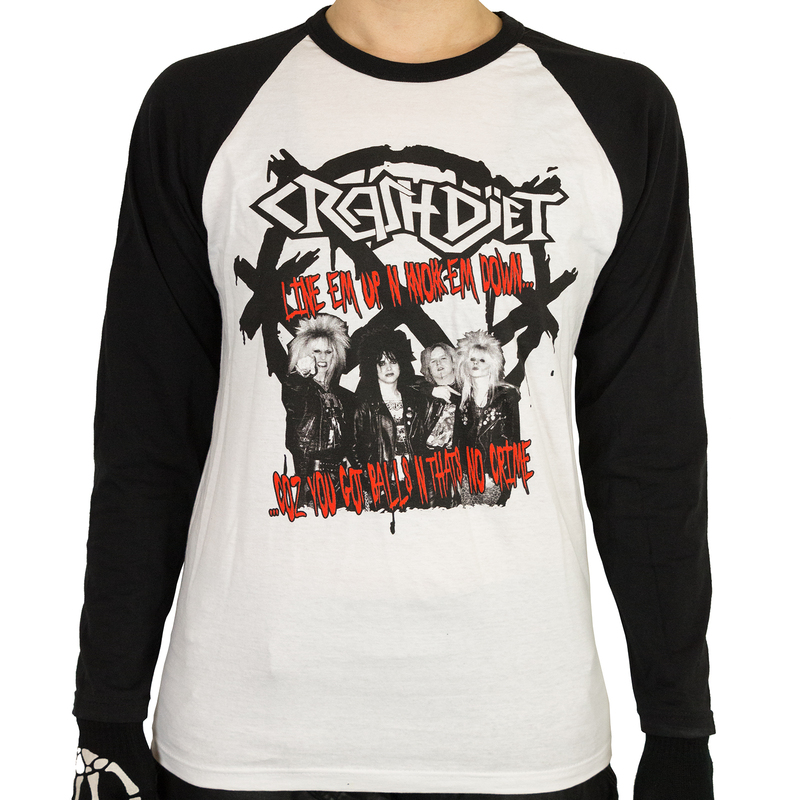 This would have to be the best crashdiet shirt of all time. Got one of the original prints about 5 years ago, and still wear it to gigs today. Classic line-up, awesome design! Good quality. Cool print. This is an exelent loongsleve. Fits me very nice. great shirt from "rest in sleaze" era, very tight and comfortable,great looking with... again a good webshop experience, a pleasure to deal with... rock on!!! S 45.5 cm / 18" 68.5 cm / 27"
M 48.5 cm / 19" 71 cm / 28"
L 53.5 cm / 21" 73.5 cm / 29"
XL 58.5 cm / 23" 76 cm / 30"
2XL 63.5 cm / 25" 77.5 cm / 30.5"